When Indiana Gov. Michael Pence signed his state's Religious Freedom Restoration Act (RFRA), he apparently did not anticipate the resulting uproar. Many of Indiana's businesses fear that the law could be used to allow store owners to deny service to gay, lesbian, bisexual and transgender persons. Goldfeder in the Monitor: How far does secular law have to go to accommodate religion? Indiana became the 20th state to pass its version of a religious freedom restoration act last week, amid a national debate over the legal limits of religious conservatives' and LGBT citizens' visions for the nation's common life together. "At some point we come to the idea that we decide as a society that there's a compelling government interest that we don't discriminate anymore," says Mark Goldfeder, senior fellow at Emory Law's Center for the Study of Law and Religion. "LGBT is not a protected class everywhere--though I think it should be--and the question we're butting up against is exactly that: At what point does the line change, and we say, you can no longer do this? But because the line hasn't changed everywhere, and yet public perception is changing, that's why we now have this gray area." Starbucks CEO Howard Schultz "watched the tragic events in Ferguson and elsewhere and wanted to be part of the solution," Vice Provost and Emory Law Professor Dorothy Brown writes for Forbes. "He is to be commended for that, not pilloried." But asking baristas to lead the #RaceTogether campaign failed because "talking about race with a stranger, much less a stranger of a different race, is fraught with anxiety, and to do it well requires preparation and skill." Brown offers a few suggestions for what Starbucks can do next. At least two surveys gathering information about "public perceptions" of proportionality and collateral damage are making their way around the international arena by way of blogs, social media and email. What qualifies as excessive civilian risk in the context of a military operational attack decision remains one of the most elusive questions in international law, which is the ostensible motive for these surveys. Now that Canadian-born Republican Ted Cruz has declared that he will run for president, expect the "birthers" to resurface, says the Tampa Bay Times' Alex Leary. Those questions will probably apply to Marco Rubio, too. The article repeats Emory Law Professor Polly Price's 2011 comments on the natural born citizen clause. "It's a little confusing, but most scholars think it's a pretty unusual position for anyone to think the natural born citizen clause would exclude someone born in the U.S.," Price said. Children who aren't fully advised of their rights are more likely to plead guilty, according to the National Juvenile Defender Center. "Every time you enter the juvenile delinquency system, it's a big deal," says Randee Waldman, director of the Barton Juvenile Defender Clinic. "Even on something that seems minor, there are collateral consequences, and the ability to move deeper into the system increases drastically as soon as you enter it." Waldman was commenting on N.P v. The State of Georgia, et al, which says four Georgia counties have only three public defenders to handle nearly 1,700 cases for poor defendants each year. Kang tells Fox mandatory voting "not happening"
Mandatory voting might be a boon for the Democratic Party, but the idea President Obama floated this week of forcing Americans to show up at the polls will never happen, legal experts said. Such a movement would undoubtedly face legal challenges, according to Emory Law Professor Michael Kang. "It's not that there's lack of legal authority," he said. "It's totally conceivable that you could have a law like that in theory." But, Kang added, "It's not happening." Zwier speaks on diplomacy during Emory's "Tibet Week"
"The China-Tibet Dialogue and Its Implications for International Conflict Resolution: A Conversation with Lodi Gyari Rinpoche and Emory Law Professor Paul Zwier" takes place Monday, March 23, at 7:30 p.m. Gyari is a Tibetan diplomat and former special envoy to His Holiness the Dalai Lama. Zwier is director of Emory Law's Center for Advocacy & Dispute Resolution as well as the Advocacy Skills Program. Students Tsewang Rigzin and Richard Sui are the respondents in this talk. Emory University's new class on what happened in Ferguson before and after Michael Brown's death will examine the "Black Lives Matter" movement through more than one lens, said Emory Law Professor and Vice Provost Dorothy Brown. "Students don't like injustice, and this certainly seems like an injustice," she said. "It is a case study in what not to do if you want to de-escalate the situation." Dudziak cited in Foreign Policy: "There's no such thing as peacetime"
"We've spent years believing the war on terror will end and civil liberties will be safe again. It's time to accept that the war will go on forever--and take steps to protect life and liberty in the new normal," Georgetown Law Professor Rosa Brooks writes in Foreign Policy. 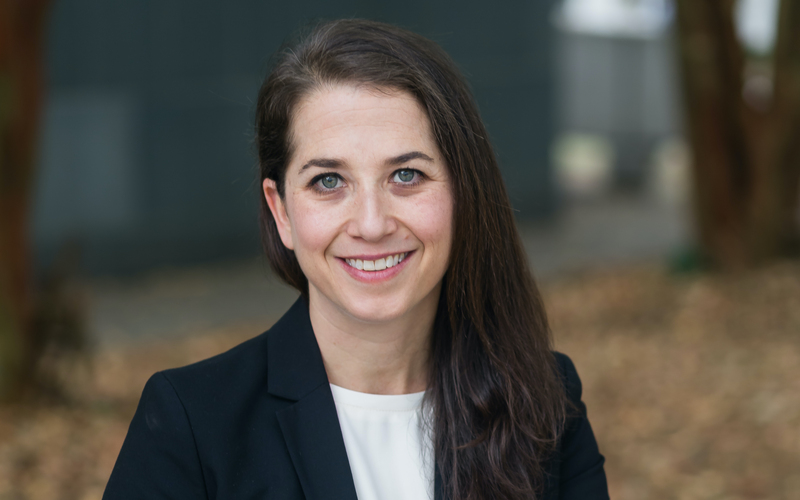 She cites Emory Law Professor Mary Dudziak's recent book, War Time, to illustrate how ceaseless war affects individual liberties in the context of national security imperatives. "Military conflict has been ongoing for decades, yet public policy rests on the false assumption that it is an aberration," Dudziak writes. "This enables a culture of irresponsibility, as 'wartime' serves as an argument and an excuse for national security-related ruptures of the usual legal order." Last week, the director of National Intelligence (DNI) announced that 116 of the 647 Guantanamo detainees that have been released had returned to terrorist or insurgent activities. When critics call detainee releases reckless because there are still individuals and groups out there posing a threat to the United States, they once again bury the hard questions under rhetoric and hype. In effect, they once again merely kick the proverbial can--how to make the necessary distinctions for principled application of the law and address the concomitant uncertainties--down the road. Emory to offer class on "Ferguson Movement"
Emory University says it will offer a course this coming fall on the shooting death of Michael Brown in Ferguson, Missouri. "Ferguson touches a lot of different areas," says Emory Law Professor and Vice Provost Dorothy Brown, who helped create the class. "So people tend to think of it as policing and criminal law, but there"s so much more to it." It will be open to undergraduates and graduate students, with enrollment open through March 18. The recession and the housing crash hit Atlanta hard, but since 2012 recovery has seemed imminent. Is it? Emory Law Professor and Vice Provost Dorothy Brown cites studies which show that, even before the housing crash, homes in predominantly African-American neighborhoods were likely to be valued at lower prices than similar homes in majority-white neighborhoods. Brown in Business Insider: "We're not going to go back to the way it was." Emory Law Professor and Vice Provost Dorothy Brown followed up her Washington Post op-ed on law schools' enrollment struggles with a Business Insider interview. In the next three years, Brown predicts that a law school in the top 20 or even top 50 of the U.S. News & World Report ranking may end up shutting down due to declining enrollment. "This isn't temporary," she said. "We're not going to go back to the way it was." New Orleans is selling almost 1,800 properties on the Web to fatten its tax coffers and build on the momentum it's enjoying in the local real estate market, Bloomberg Business reports. "The weakness of this open-auction approach is there is no assurance that a purchaser who completes the acquisition will use it in a manner that's in the best interests of the city," said Emory Law Professor Frank Alexander. The recent plunge in law-school applications and enrollment has a lot of legal educators wondering what can be done to escape the doldrums. Emory Law Professor and Vice Provost Dorothy A. Brown, who focuses on tax policy and critical race theory, doesn¿t have a silver bullet. But in an op-ed for the Washington Post on Monday, she suggests that the way in which law schools emphasize and pay for legal scholarship is making matters worse. Georgia has one of the highest school suspension rates in the country. But it is dropping. To shrink the number further, some state officials are pushing a program that has helped reduce discipline problems nationwide. Positive Behavior Interventions and Supports, or PBIS, is a program now in 400 Georgia schools. Randee Waldman, director of the Barton Juvenile Defender Clinic at Emory Law School, commented on how it works. Brown for the Washington Post: Will law schools' challenges force real change? "'March madness' holds a different meaning in the legal world. While most of the country looks forward to fast breaks and Cinderella upsets, law schools are bracing themselves for another type of madness: the annual carnage left by the U.S. News & World Report rankings," writes Emory Law Professor and Vice Provost Dorothy Brown. "If you were the member of a minority group and tried to create a system to control and oppress the majority, you could not have done a better job than the white leaders of Ferguson, Missouri," writes Professor and Vice Provost Dorothy Brown. "Let's start with the demographics. Ferguson is small--roughly 20,000 residents--and is 67 percent black and 29 percent white. Over the past decade, Ferguson's population has changed from majority white to majority black. Its elected officials did not. Five of six City Council members are white, as is the city's mayor. How does this happen in a city two-thirds black?" The Turner Environmental Law Clinic has followed the funding and construction of Georgia Power's nuclear Plant Vogtle for years. A series of FOIA requests by the Clinic to the Department of Energy and other players resulted in the release of thousands of documents and eventually, a $44,000 award in attorney fees for the students' time. Here, Doug Koplow of Earth Track draws a parallel from the recent news that Hillary Clinton used a personal email account while secretary of state, to the clinic's efforts to disclose the true costs of Plant Vogtle for state and federal taxpayers. Hillary Clinton's failure to use a government e-mail address during her four-year tenure at the State Department "may have violated federal requirements that officials' correspondence be retained as part of the agency's record," according to The New York Times, which first broke the story. It also may have removed the paper trail on which the public relies to make sense of the past. "Hillary Clinton's emails are the contemporary equivalent of letters and memos from past secretaries of state that have enabled historians to study the history of American foreign relations," said Asa Griggs Candler Professor of Law Mary L. Dudziak.